The main point of a man cave is to escape from the stress of life; for most men, this escape comes from watching sporting events on their televisions. Generally, a man cave will have an especially large TV. 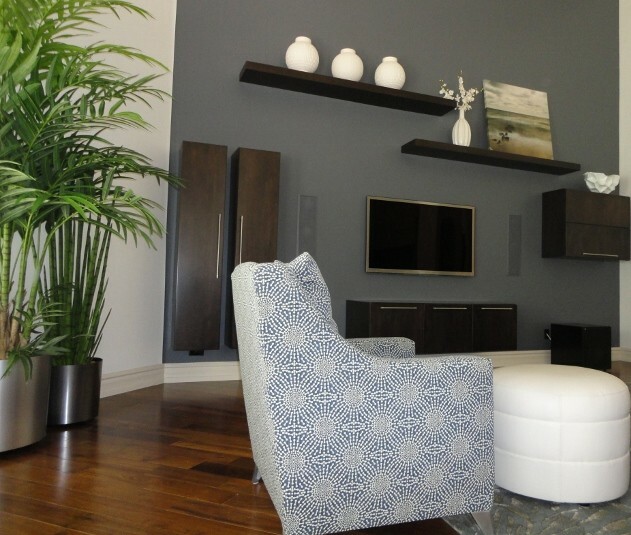 If you can fit it in your budget, a nice surround sound system is a wonderful addition. Keep lighting in mind when you’re deciding where to place the TV; you won’t want a glare on the screen. You’re going to need to be able to relax while enjoying your private space, so smart seating choices are a must. While style may be the most important feature for seating in the living room, comfort is paramount in a man cave. For that reason, men will generally choose overstuffed couches or a set of recliners. 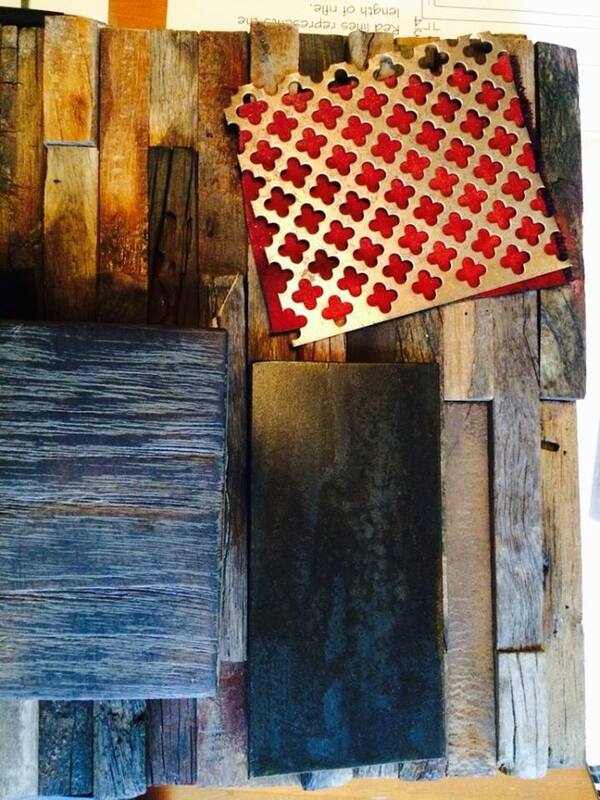 Additionally, dark fabrics or leather will match just about any man cave decor. When planning the seating, think about how many friends you’re likely to have over at a time; you’re going to need a place for each of them to rest. However, you might want to keep a few folding chairs handy for when you host extra large crowds. A man cave wouldn’t be much of a man cave without privacy. After all, men need to feel like they can be men in their own space. If your man cave is going to take up one end of a large room, consider putting up a wall. If a new wall just isn’t possible, privacy screens may work well too. If you can get it into your budget, soundproofing a man cave is always a good idea too. While it may sound a bit excessive, just take a second to think how many times you’ve been asked to turn the TV down. Then, think about how many times you had to ask your children to quiet down. 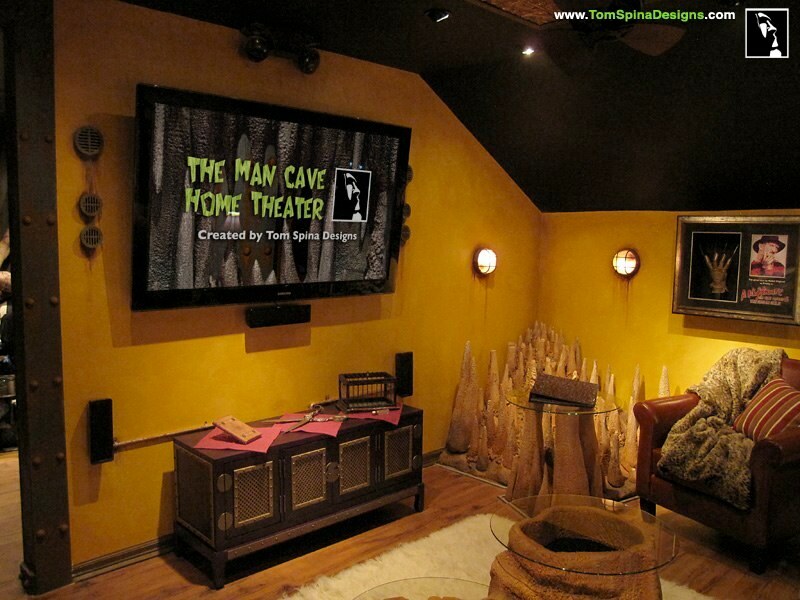 A soundproofed man cave eliminates those problems and gives you ultimate privacy. For a space to truly be a man cave, alcoholic beverages must be consumed there. However, having to leave the man cave to grab more refreshments will cause you to miss key parts of the big game; not to mention, who really wants to walk all the way across the house to get more beer? A refrigerator or even a mini-fridge will solve that problem by keeping frosty beverages close at hand. There’s no space for flowers, delicate birds, or frilly pillows in a man cave. Rather, the decor should be based around your favorite things. Frequently, men will paint their man cave the colors of their favorite team. Besides colors, however, you’ll also want to think about other decor basics. While it is a manly space, an accent rug is still a good idea; besides adding good design to the room, it can keep spilled snacks off the carpet. Next, consider hanging blackout curtains over any windows to prevent glare. Finally, put in a unique lamp or two; there are plenty of beer themed lamps that will complement the space perfectly. Jessica Kane is a professional writer who has an interest in interior design and home decor. She currently writes for http://www.custom-mats.com, a leading vendor of plain and custom mats. This entry was posted in Custom Furniture, Design and Organization, Design Elements, Man Cave and tagged custom design, decorating, Design Elements, Man Cave, Masculine decor, Men's Den, S Interior Desgin Scottsdale, S Interior Design. Bookmark the permalink.